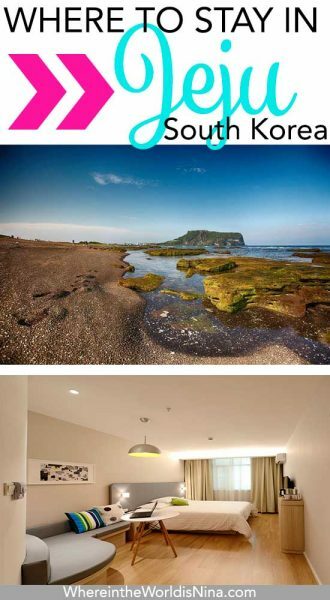 Where To Stay In Jeju, South Korea: The Best Places to Stay in Jeju! This tiny island off the coast of South Korea has a bundle of things to do and places to see. We squeezed it all in in just four days, which ended up being just enough time! We rented a car and took off, wandering the island spontaneously. 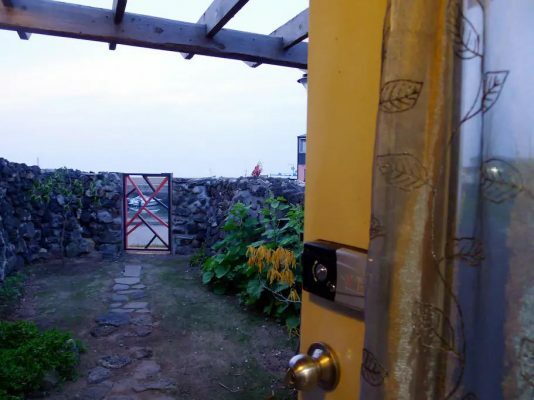 Since we were there for four days, we had to figure out where to stay in Jeju. And now that we have done the legwork for you, you can simply choose from the list! 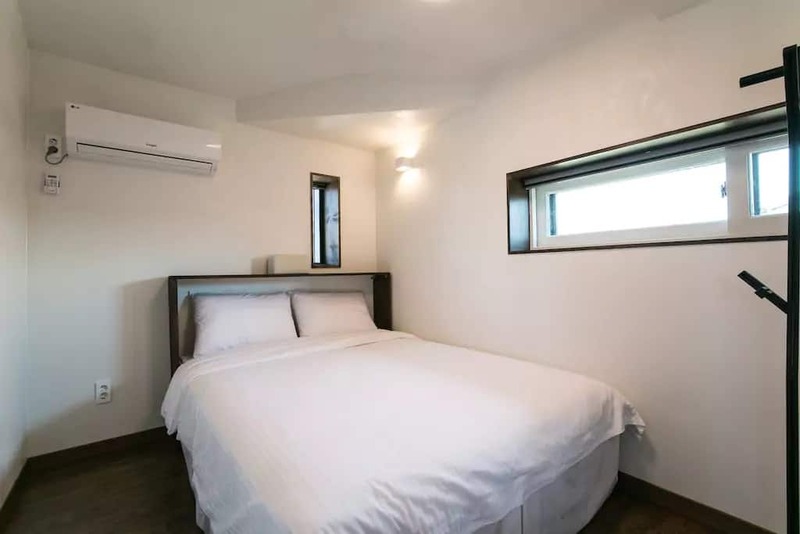 There are four main attractions/areas to Jeju, and while my article on our road trip around Jeju Island lays out an itinerary for what you will see in each of these four areas, this article will help you book a sweet sleep spot. 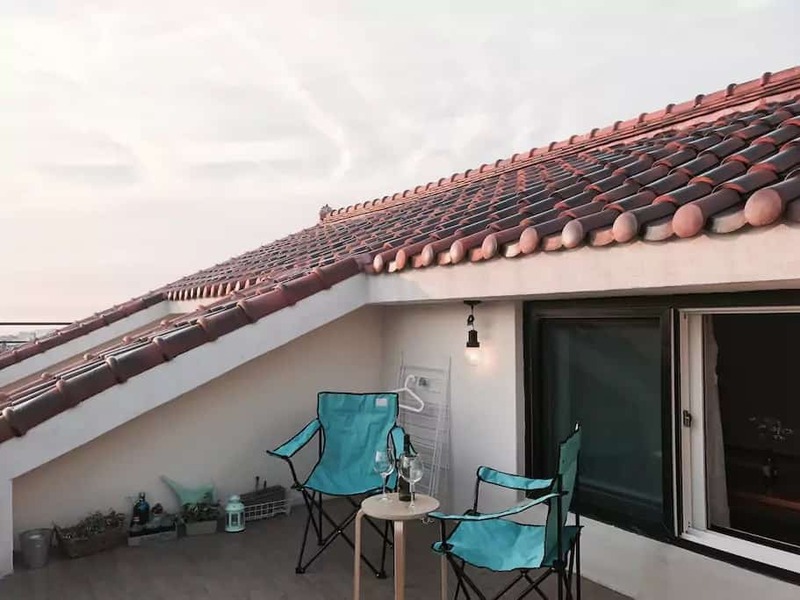 You can visit four areas in four days and rest easy that you have a place to stay at the end of your own sightseeing road trip. 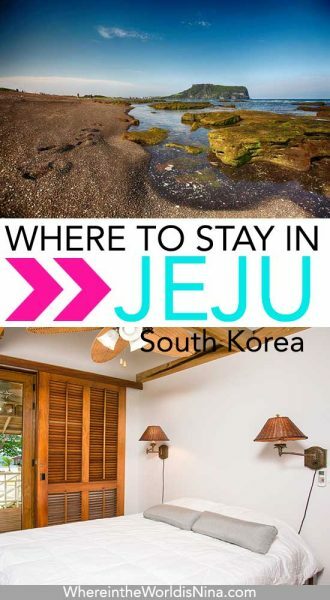 Take note: the best places to stay in Jeju are mapped according to the things to do so you can wake up and be at the spot you need to be! If you only have time for Jeju City, you’ll still find plenty to enjoy. You can sightsee and walk around a mini-metropolitan area on a volcanic island! 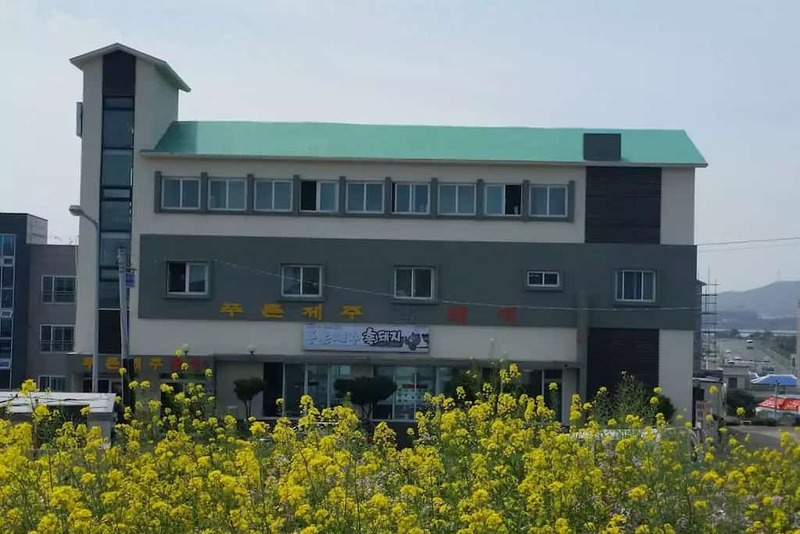 Daedong is a sparse spare budget motel. But that’s what you’ll get on a budget in the city. You’re ten minutes from the airport and walking distance from shopping and dining. Trade offs! Harbor is a step up from Daedong, but still pretty minimal. But again, you can walk to the arboretum, hop over to a museum, and enjoy a drink with friends within feet of your room. 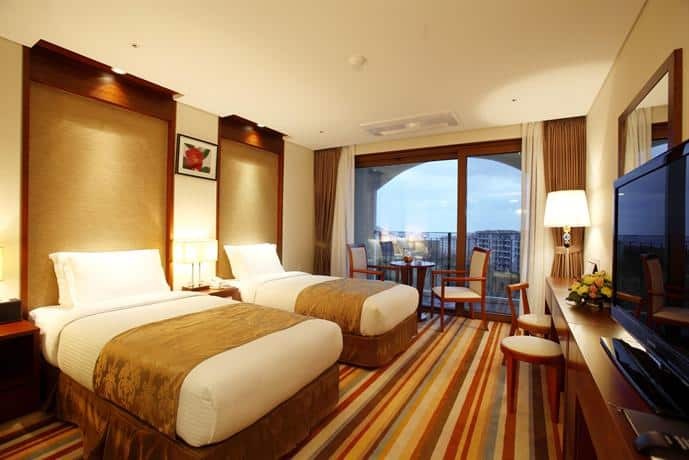 Lotte City Hotel is a classic high rise metropolitan hotel. You’ve got a fitness center, a heated lit pool, and concierge service as well as all the modern amenities of a nice hotel room. Another Shilla another dolla. Here you’ll find upscale amenities at mid range prices. The rooms come with a hydro massage bathtub and onsite you’ll get fine dining. 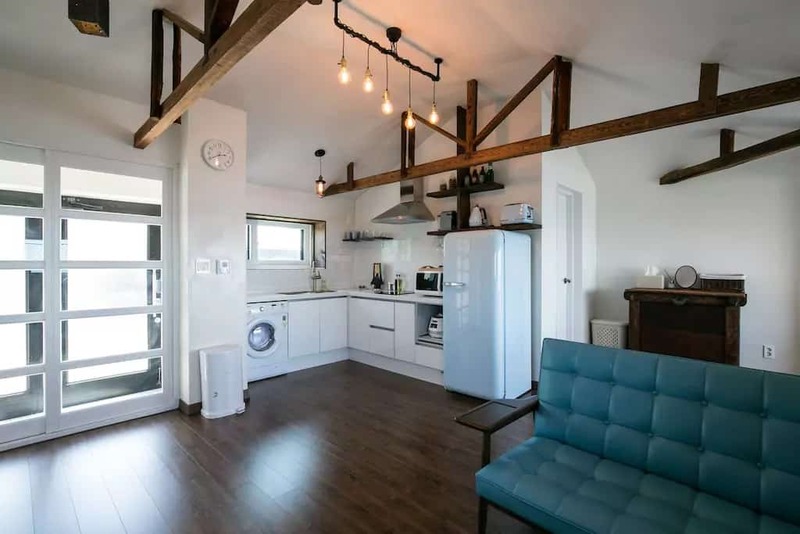 This entire Terrace loft apartment is yours. You’re minutes from the airport and steps to downtown city life. If you like your own private space, you’ll find it here. >>> If it’s your first time getting an Airbnb, sign up here and get a discount! 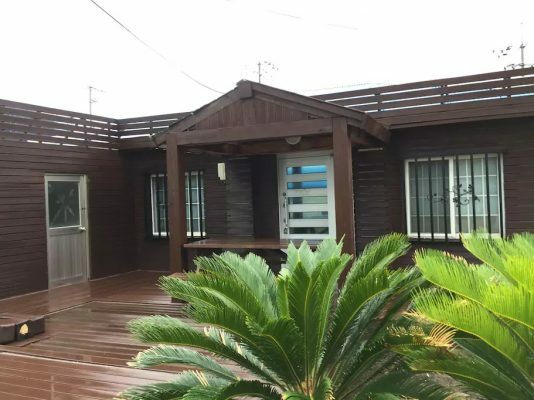 Maison Glad – Jeju is considered a landmark in Jeju Island. It’s 40 years of history and tradition are displayed in the antique interiors which combine local heritage with modern values. 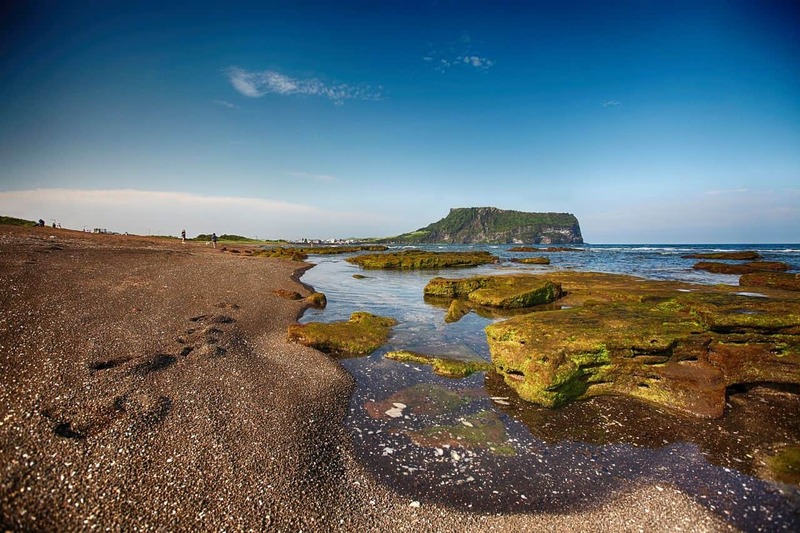 Jeju’s beautiful ambience will leave no one without a special experience. 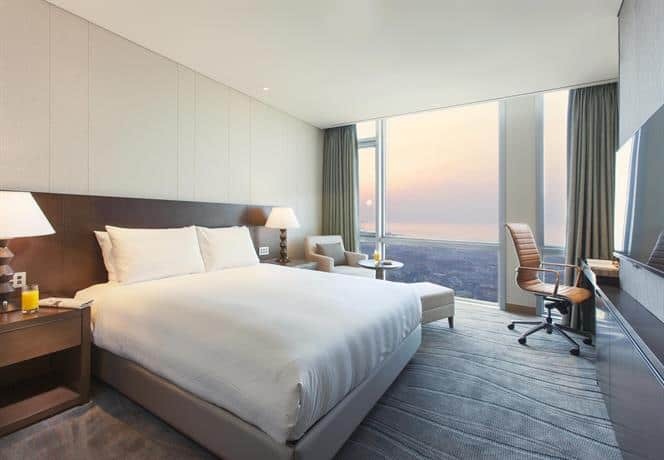 And with a top location just 10 minutes away from Jeju International Airport makes it a great base for exploring the city. Honestly, the view from the bottom of the peak of this little mountain is so spectacular that I’m tempted to say the best place to stay in Jeju is on the peak of Seongsang! But fear not, there are actual places to rent… although they are on ground level. The coolest thing about this Breeze Bay Hotel is that it is walking distance from the peak. 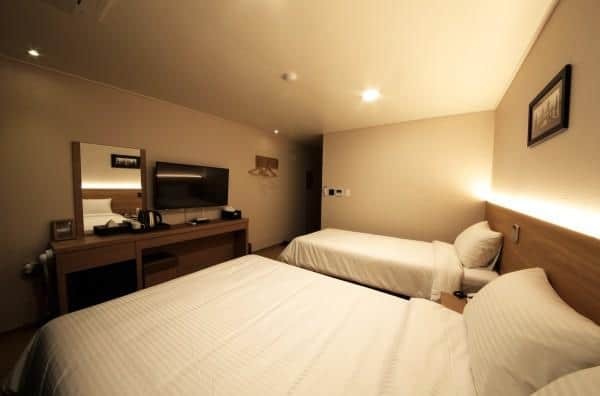 As a bonus, you also get a great room, free parking, WiFi, and a flat screen. Not bad for a budget. 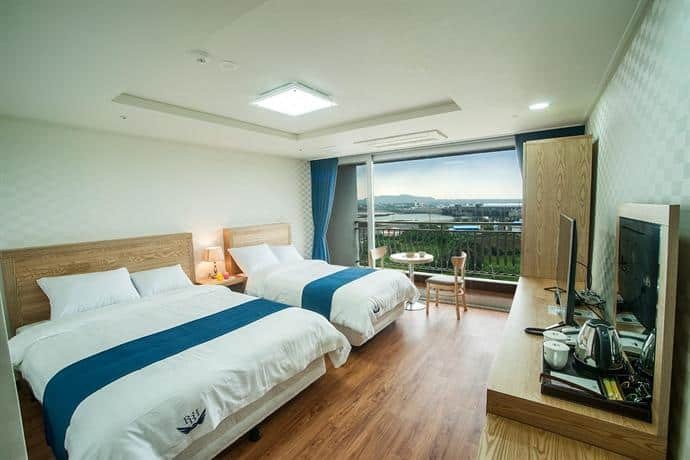 Again, the big selling point about this Seongsan Beach Hotel is the walking distance to the beach and the peak. 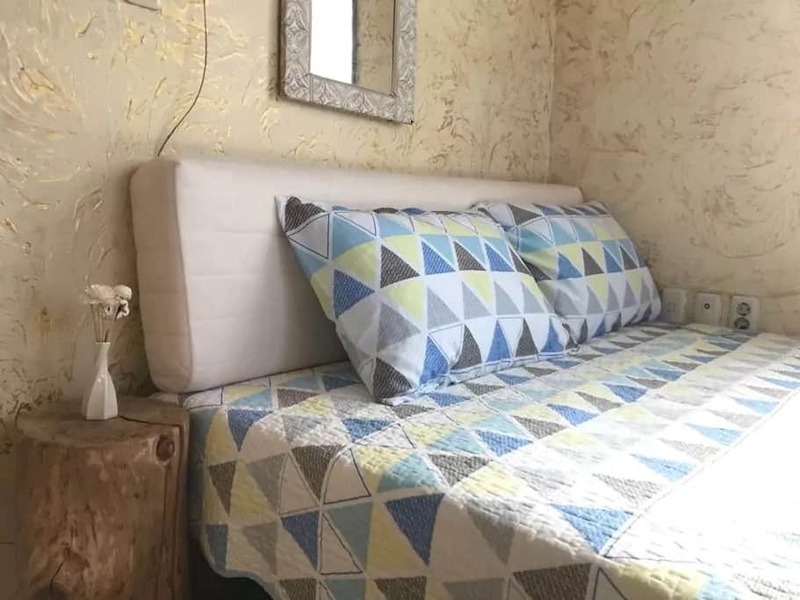 The room is pretty basic and the features are minimal. But as you and I both know, location, location, location! 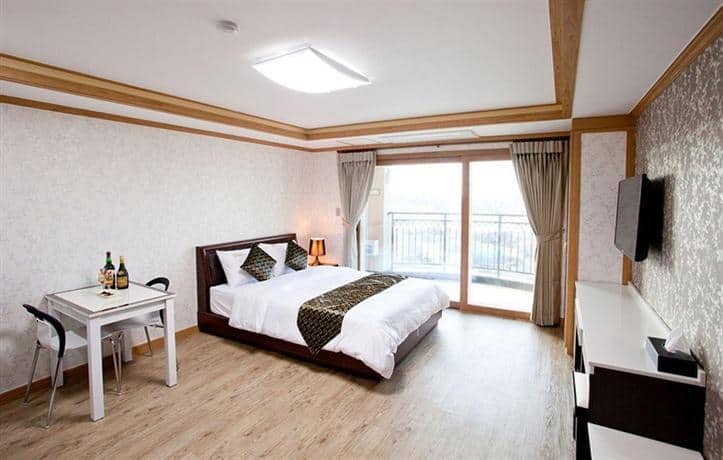 This Blue Jeju private room offers views of the ocean and a short walk to the peak. You will be sharing space, but the owners seem incredibly accommodating. You do get a private bath. 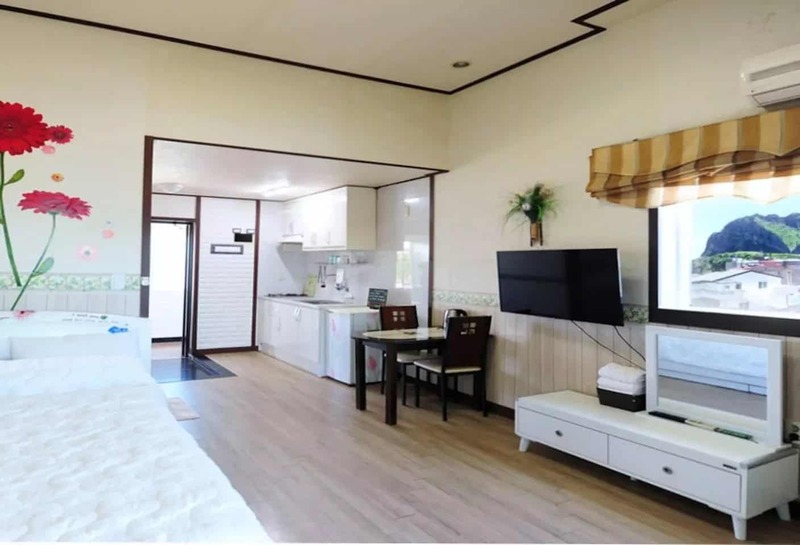 Very beautiful accommodation in Jeju on the beach. 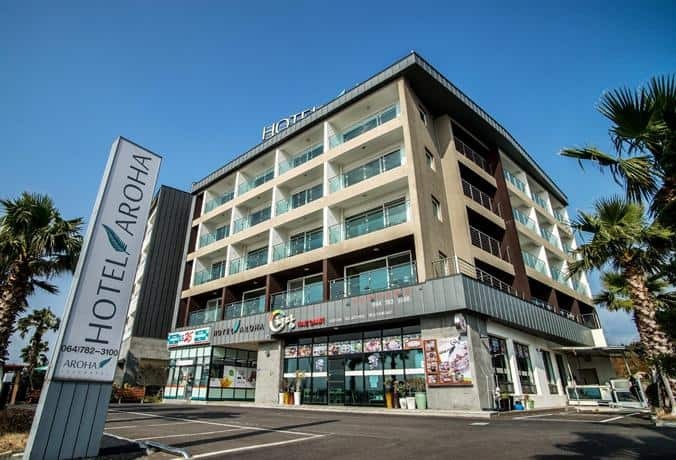 Hotel Aroha is your typical nice hotel on the beach. You’ll get a great room with breakfast offerings each morning and an onsite store. You can walk to the peak, and you can wander the area to explore as well. Seongsang is your very own Korean cabin! 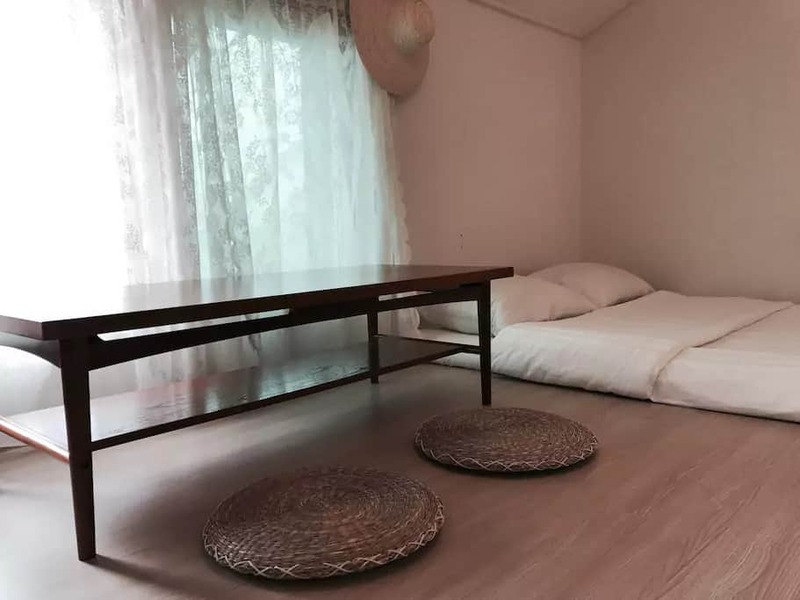 This Seongsang is what is known as a guesthouse. 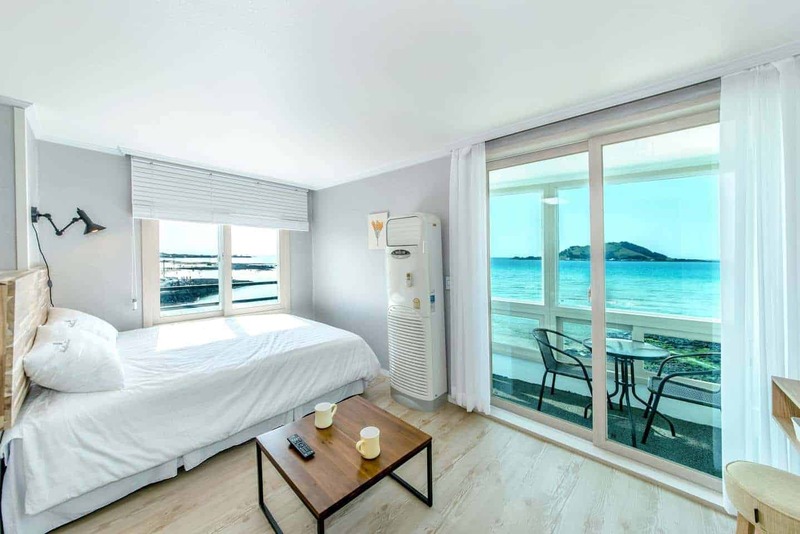 You’ll get two bedrooms and one bathroom right on the seashore. 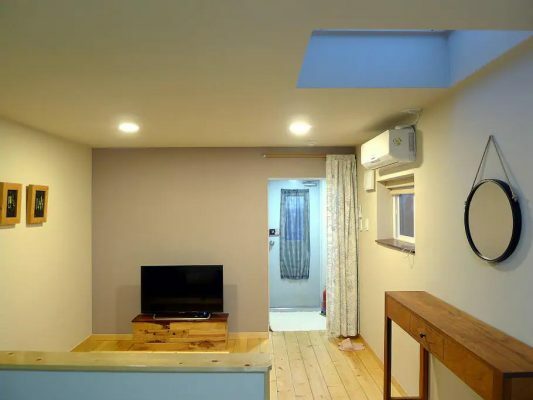 It is your own rustic little Korean cabin. 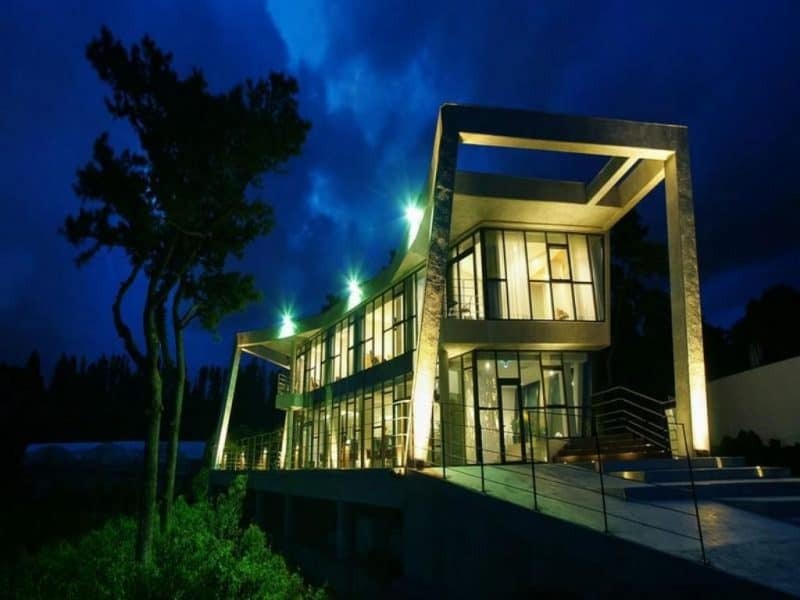 Enjoy the luxury of Cloud Healing Hotel during your accommodation in Jeju. The name says it all. In The Cloud Healing luxury hotel, you will feel like you live on a cloud. It is divine, spacious, and caters to your whims. You’ll get a concierge, a coffee bar, and onsite restaurant. Bask. Very neat Seongsang, the greatest thing about Seogwipo is the waterfalls! You may run into a water nymph or a dragon, so you’ll definitely need to stop for the night. You can freaking walk to waterfalls. Do I really need to say more? I love the beach. I’m a beach bum to the bone. But waterfalls!! Also, the Hotel Gaon has nice rooms, heated floors, onsite bar (yes! ), and comfy beds. Island Blue is a great hotel on a budget. It is close to the waterfalls, plus you’ll get all modern amenities. Your room will have WiFi and a flat screen. You can also book a massage after a long day at the falls. KAL is what you expect from a fancy sprawling resort. 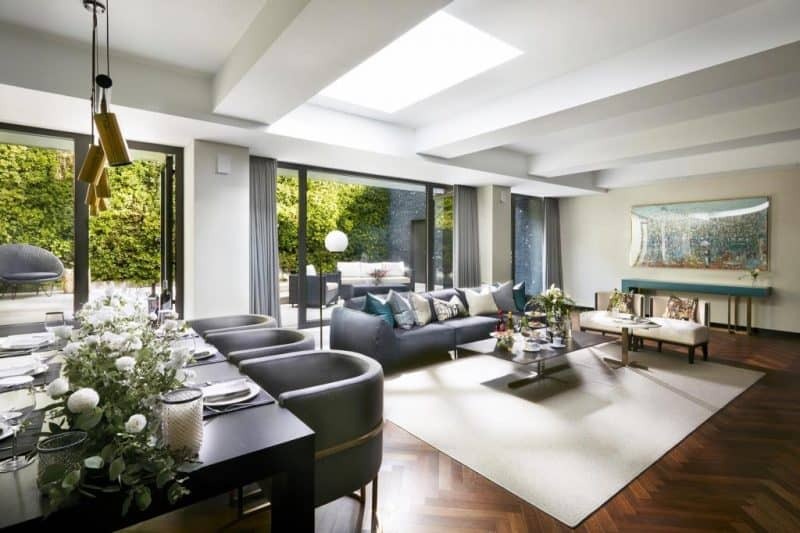 You’ll get indoor and outdoor pools, tennis courts, and onsite dining. The rooms are classic resort style with fine linen and butler service. This is a hotel in Seogwipo, not a museum, I promise! Once you get inside you may think you got stranded in a museum, but no, it’s just a really cool hotel. You will find modern, sleek design on the outside and the inside. 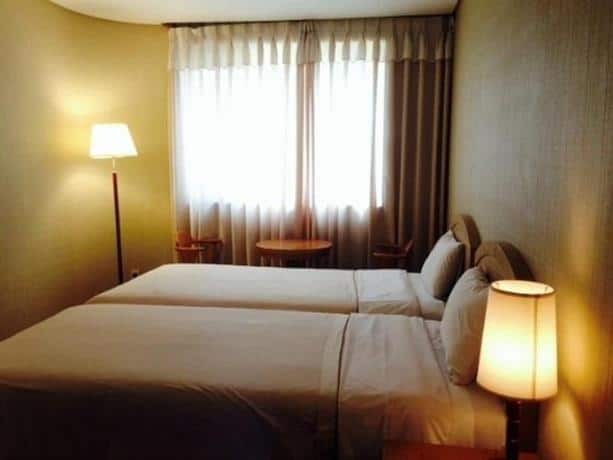 It has 4 types of rooms which makes it a great choice for families. The waterfalls are just a short drive away, so it’s great if you have a car. However, if you don’t the staff speaks English pretty well, and they will arrange transportation for you. 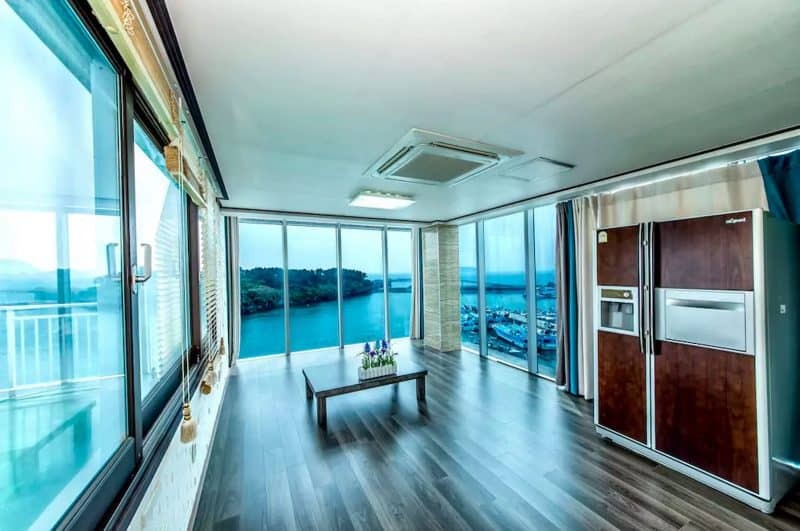 Airbnb on the water in Seogwipo. Sure, after you see Shilla why would you want to rent a simple home? It’s all about perspectives and personal choice. If what you are looking for is a calm place near the city but on the water where you can spread out with your family and do your own cooking, This beautiful house is where to stay in Jeju. While in Hyeopjae you are going to visit a beautiful beach; it is a must-see, especially for sunset. Since you’ll be in the area at sunset, you may as well grab some ramen and stay for the night. 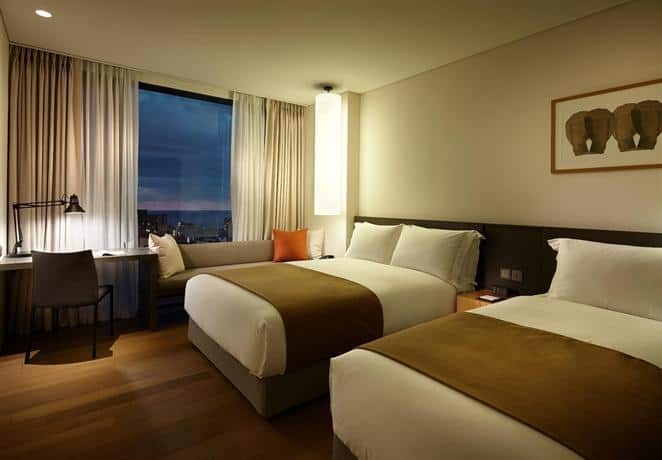 Here are the best places to stay in Jeju, Hyeopjae. 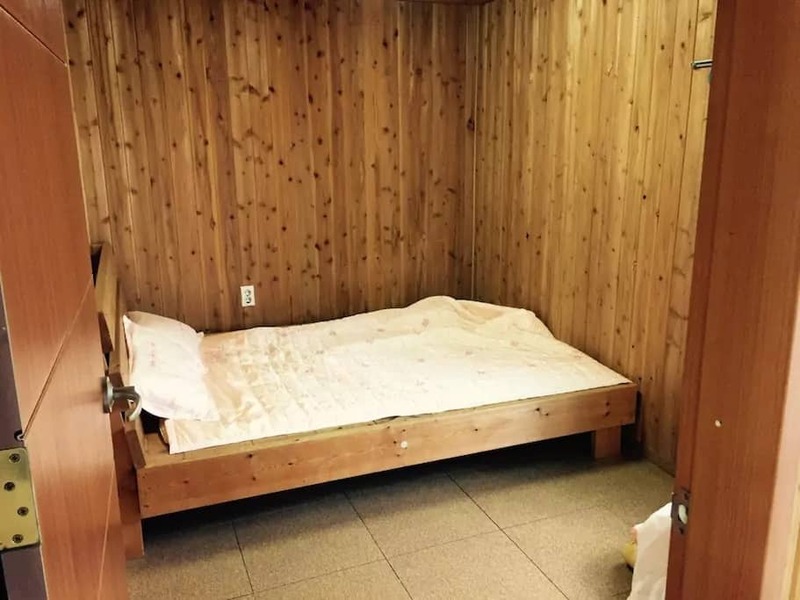 Air conditioning, a shower, and wifi. What more do you need? Not much, but there’s more at Lapaloma Pension! You can also venture out close by to grab that ramen you wanted after your visit to the beach. For a budget spot, this place is pretty, well, resort-y. Just five minutes from the beach, Kai offers a valet, a concierge, two pools, and even bottled water in every room. Pretty fancy for a budget. Josie’s house is remarkable. It is a shared space, but unless you are an extreme introvert (which would be hard to believe for a person jet-setting off to Jeju) it’s worth it. This is beachfront property. You’ll get your own room and bathroom as well as access to the rest of the house, including the kitchen and, did I mention the beach? Here’s where we head to a bit of luxury. 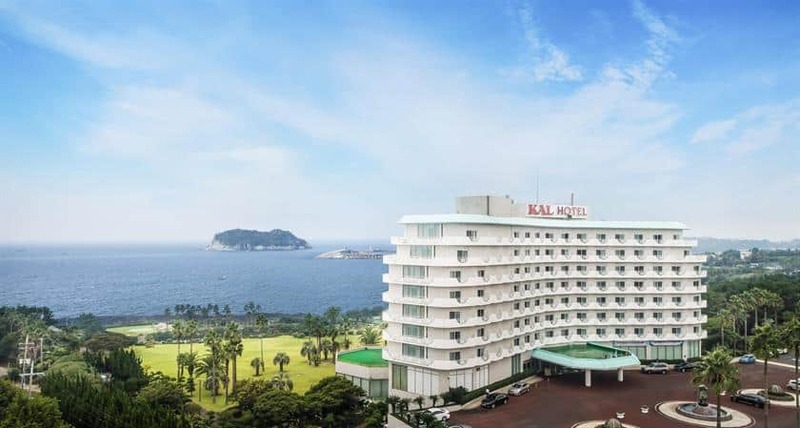 Raon hotel has a gym and a pool, an in-house restaurant, and if you’re up for it, you can barbecue on site. 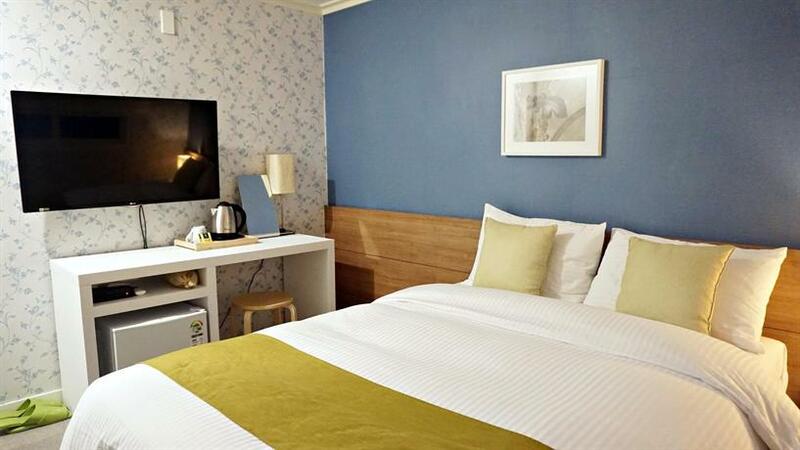 Each room offers luxury linen and a flat-screen TV. This little Seaview room house is great for what you get, it’s a whole house with a garden! You’ll have this mini stonewall fortress for yourself, and you’ll practically hear the beach from your doorstep as it’s so close. Sea Ari is like renting your own little piece of the beach as you’re literally on it! You’ll get laundry facilities in the building and WiFi as well as all the other typical creature comforts of home. 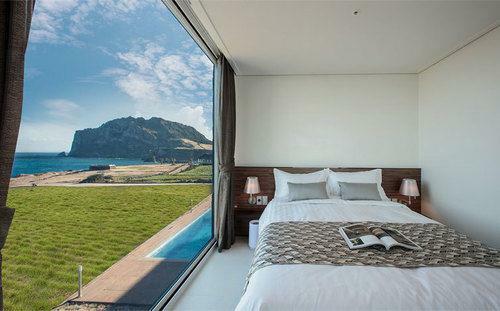 And that view for the price, it’s a steal! This little two bedroom Beach cottage is akin to beachfront property in the states. It has wide windows that overlook the ocean and tall ceilings with exposed beams. 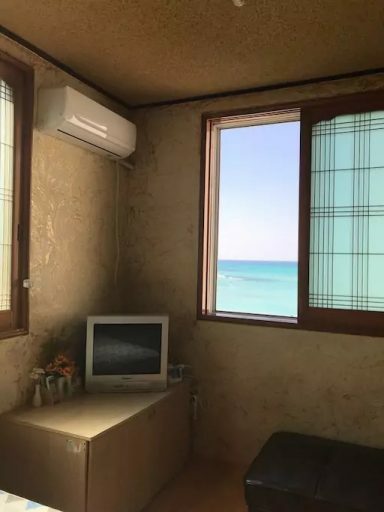 You’ll have this Jeju accommodation to yourself where you can take a short walk down to dip your toes in the waves. Jeju Island is an adorable, quaint, and beautiful island to visit while hopping along South Korea. 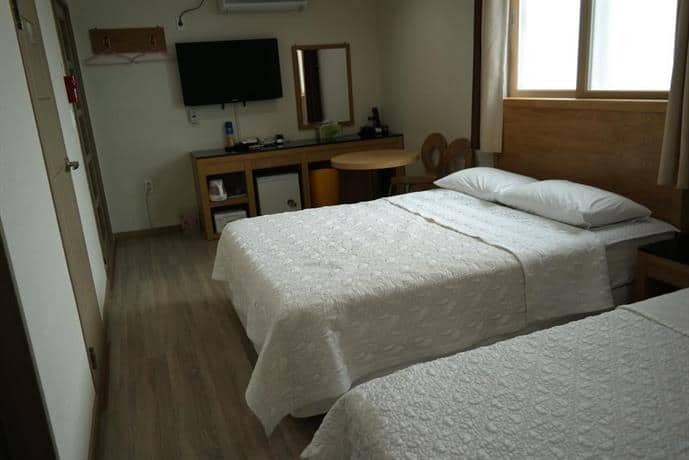 I hope this post on where to stay in Jeju was helpful. You can check out my itinerary next if you haven’t read it yet. 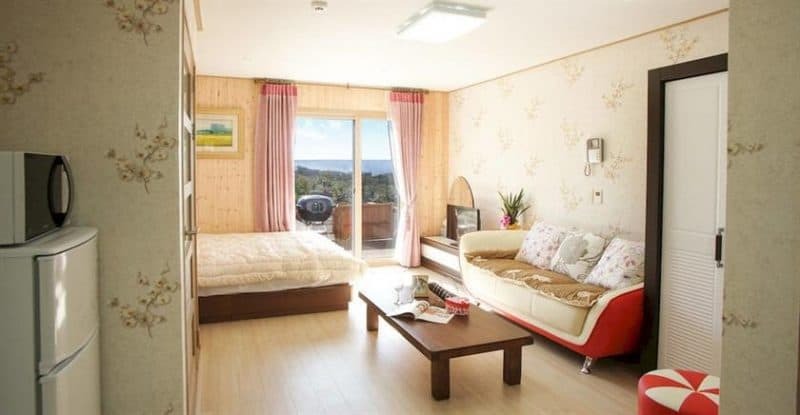 It perfectly matches up with all of the Jeju accommodation that was mentioned above. Don’t lose this! Pin it now by clicking the picture. My fiancé and I will be honeymooning in jeju 5/1-5/6 flying from Seoul. We want beaches in walking distance! Any recommendations? Thanks, that was very informative. Will the 2nd half of November be too chilly to be in Jeju? I am planning a 4 days stay with my wife. We love nature, food, culture and drinks. Where would you recommend? Downtown or Seogwipo? 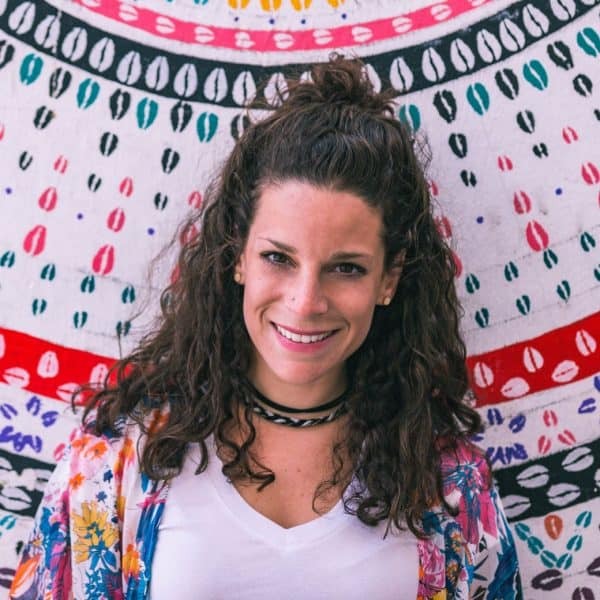 Hi, did you read this yet? Is South Korea safe for tourist?